Kythnos is an island located in the western Cyclades, in the central Aegean Sea in Greece. Kythnos is under the administration of the Cyclades Prefecture of the District of the Southern Aegean. What is the postal code (zip code) of Kythnos? The Postal Code for the entire island of Kythnos is 84006. What does the name Kythnos mean? The name Kythnos comes from the King Kythnos of the ancient Dryopes. Why the island is also called Thermia? The name Thermia comes from the hot springs (thermes piges) located at Loutra. What is the total area of Kythnos? Kythnos covers an area of approximately 100.2 square kilometers. What is the population of Kythnos? Kythnos has 1456 inhabitants (according to the 2011 census). What is the largest settlement on Kythnos? Hora or Mesaria is the largest settlement on the island with a population of 561 inhabitants (according to the 2011 census). Merihas and Dryopida follow with 361 and 325 inhabitants respectively. What is the distance between Kythnos and Lavrio in nautical miles? Kythnos lies 26 nautical miles from the port of Lavrio. What is the distance between Kythnos and the port of Piraeus in nautical miles? Kythnos is 56 nautical miles from the port of Piraeus. What is the distance between Kythnos and Kea (Tzia) in nautical miles? 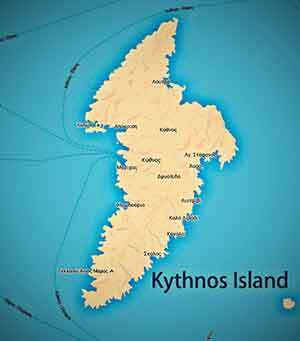 Kythnos is 26.5 nautical miles from the port of Kea. What is the distance between Kythnos and Serifos (in nautical miles)? Kythnos is 29 nautical miles from the port of Serifos. Does Kythnos have an airport? Does Kythnos have a helipad? Kythnos has a heliport in the greater area of Hora. How many ports does Kythnos have? The main ports of Kythnos are the port of Merichas and port of the Loutra. However, you may anchor in several parts of the island such as: Agia Irini, Agios Dimitrios, Episkopi, Agios Stefanos, Panagia Kanala etc. when it comes to small motor boats or sailboats. With which other ports is Kythnos connected? There is ferry connection with the following ports: Anafi, Thirassia, Ios, Kea, Kimolos, Lavrion, Milos, Naxos, Paros, Piraeus, Santorini, Serifos, Sifnos, Sikinos, Syros and Folegandros. How long does the trip from Piraeus to Kythnos last? The trip from Piraeus to Kythnos lasts approximately 3 hours with the conventional vehicle carrying ferries. How long does the journey from Lavrio to Kythnos last? The journey from Lavrio to Kythnos lasts approximately 1 hour and 45 minutes with the conventional vehicle carrying ferries. How much do the tickets to Kythnos cost? Tickets to Kythnos from Lavrio will cost you between 14 and 18 euro per person, between 12 to 17 euro for a motorbike and between 29 to 47 euro for a car. Price data was obtained in 2016 and variations depend on person age and vehicle size. Is there an organized marina on Kythnos? You will find two organized marinas on Kythnos Island: on Merihas and on Loutra. They can accommodate sailing boats, inflatable boats, boats, speedboats, smaller yachts and fishing boats. Can one be stranded in summer in Kythnos due to bad weather conditions? Although rare, it is possible that extreme weather conditions can cause problems and people may be stranded. However, this may not last for more than 3 days. Which is the highest altitude in Kythnos? The highest altitude in Kythnos is 336 meters and is held by Prophet Elijah peak of Mount Petra. Are there mountains suitable for climbing on Kythnos island? Not really, Kythnos is not suitable for mountaineering as it lacks high altitude mountains appropriate for climbers. Which is the most touristic area on Kythnos? Merihas is considered as the most touristic area on Kythnos followed by Loutra, Chora of Kythnos and Kanala. Which is the most touristic period in Kythnos? August is by far the busiest touristic season as it brings most visitors to the island with the majority of them being Greek. The next busiest month is July. Is Kythnos considered to be an expensive island? No, on the contrary, it is one of the most affordable holiday destinations in Greece. This is mainly due to the limited number of tourists since Kythnos is still relatively unknown. Can I have cheap holidays in Kythnos? Kythnos is an ideal destination for affordable holidays as you can easily find cheap accommodation and food. Is there an increase of tourists in Kythnos? In the recent years, a steady increase of tourists has been observed in Kythnos. These tourists are mainly Greeks and Russians. Most of the locals (especially the young) speak good English so you will find no difficulty to communicate with them. Can I transfer my car to Kythnos? Of course you can transfer your car or your motorbike to Kythnos as most ferries to the island carry vehicles. Kythnos also has a relatively good road network for its popular destinations. Is there a gas station in Kythnos? Of course there is. There are three fuel stations on the island. Is there a hospital on Kythnos? There is no hospital on Kythnos. Instead, there are two Medical Centers, one at Kythnos Town and the other at Dryopida that can cover most patients’ needs. Is there a pediatrician Kythnos? No, there is no pediatrician on Kythnos. The doctors in the Regional Medical Centres can support any pediatric events. Is there a dentist on Kythnos? Yes, there is a dentist on Kythnos to cover both the needs of locals and tourists. Are there pharmacies on Kythnos? There are pharmacies on Merichas and on Kythnos Town. Is there a Police station on Kythnos? There is a police station located in Messaria, the capital of Kythnos. Is there a Tourist Police on Kythnos? Tourist Police services on Kythnos are provided by the Police Department. Are there any banks on Kythnos? There is only one branch of Alpha Bank. National Bank and Piraeus Bank provide services via agents and ATMs. Is there a local transportation service on Kythnos? There are 3 different routes running daily. 1. Merichas, Kythnos Town, Loutra, 2. Merichas, Kythnos Chora and 3. Merichas, Dryopida, Kanala. The schedule is more frequent during the summer season. Are there any taxis on Kythnos? There are taxis connect all settlements of the island and operate on all main roads of Kythnos. Are there cars or motorcycles for rent on Kythnos? There are businesses that rent cars and motorbikes in Merichas and Kythnos Town. Can you rent a boat on Kythnos? There are no businesses that rent boats on Kythnos. Nevertheless it is possible to lease a boat from a local. Can I find an available room on Kythnos at any time during the tourist season? Generally yes, it is easy to find available rooms, except during the high season period (01-15 August). Are there apartments and rooms to rent on Kythnos? In any settlement of Kythnos you will find rooms and apartments offered for rent. Are there luxury hotels on Kythnos? Kythnos offers no luxury hotels. Moreover, around the island, there are only 4 hotels. Are there any villas for rent on Kythnos? Even though only a few villas exist on Kythnos for rent, they are enough to serve the needs of tourists. However, an early booking is advised. Is there an organized camping Kythnos? No, Kythnos does not have an organized camping. Is there free internet access on Kythnos? Most accommodations and almost all cafes of Kythnos is Wi Fi enabled direct access to the Internet for free. Is water on Kythnos potable? There was no drinking water on Kythnos for many years. Recently, production units have been installed in order to produce and distribute drinking water to the entire island. This was made possible via government grant. During the summer season, however, due to the increased demand, drinking water is available only from bottles. Are there restaurants and taverns on Kythnos? There are restaurants and taverns in all tourist areas of Kythnos. Specifically, you will find many in Loutra, in Merichas, in Messaria, in Kanala, in Dryopida, in Agios Stefanos, in Lefkes, in Agia Irini and in Agios Dimitrios. Most of them are small, family run businesses. I can find fresh fish in Kythnos? In such a Cycladic island Kythnos, fresh fish abound and you can find them in any tavern - restaurant. The exception is the full house tourist season (month of August) where due to high demand for the fish are more scarce. There is a particular local cuisine Kythnos? Kythnos has its own unique local cuisine with the famous local lamb, the Thermiotiki pie, the Sfougato and Kolopi. There are mini markets and super markets in Kythnos? In Kythnos there are mini markets and small super markets in Mericha in Dryopida in Loutra in Kythnos Kanala and Country serving the local population and meet your needs with all the essentials for your stay. Do not expect to find large Super Markets. There are playgrounds in Kythnos? In such a beautiful island that the children enjoy at any point in the game, playgrounds are unnecessary. However, there are small playgrounds in Merichas, Kythnos Chora and Dryopida probably more targeted visitors. There are archaeological sites that I visit Kythnos? Almost all areas are accessible on foot with most renowned Castle of Oria, the Katellas, Vryokastro and Slag. The archaeological sites of lettuce and the Trinity monastery accessed with your vehicle. According to archaeological finds of Maroulas, Kythnos is inhabited by Mesolithic period (ie from 9000 to 8000 BC). What is the most impressive attraction Kythnos? The Kolona beach impresses with its natural beauty of most visitors of Kythnos. What is the most audible religious tourism attraction Kythnos? Undoubtedly considered the miraculous icon of Panagia Kanala. There are hiking trails in Kithnos? In Kythnos there are scattered paths that may offer special experiences to the promenade friends. Some of them are marked with the most popular route to Kolona beach, the path to the Vryokastro and path to the Castle of Oria. What is the best time for swimming in Kythnos? The best time for swimming in Kythnos is the month of September usually prevail apneas and warm waters. Unfortunately a lot of people overwhelms the island in July and August overriding local north winds, the wind. What is the most famous beach of Kythnos? Arguably the Kolona beach is the most famous beach of Kythnos. There are organized beaches in Kythnos? There is no beach in Kythnos with umbrellas and sunbeds. The exception is the beach of Episkopi to rent umbrellas and sunbeds at a small section of the beach. There are beaches in Kythnos with trees for natural shade? Most beaches in Kythnos are cedar or trees that are able to offer shade to the swimmers. With more shade stand out the Great Sand beaches, Baths, diocese, St. Demetrius, Apokrousi, St. Irene, St. Stephen White, Martinakia, Schinaria, Flambouri, rivers etc. Most of the beaches of Kythnos are sandy. 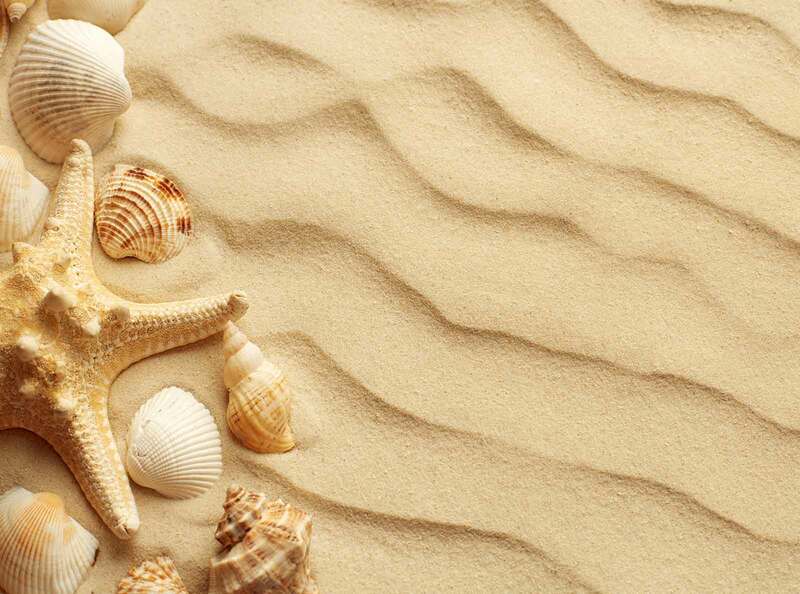 Briefly mention the most known sandy beaches: Kolona, Chip, Episkopi, Martinakia, Great Sand and many more. Kythnos has many secluded beaches as not connected to the road network. Is nudism allowed on the beaches of Kythnos? Kythnos has not organized nudist beach and therefore nudism prohibited on every beach. Nevertheless customary to secluded beaches not communicating with the road network. There is a diving school in Kythnos? There is a diving school located in Loutra Kythnos. As with the rest of Greece in underwater fishing, coastal fishing and other types allowed under certain conditions. In Port Kythnos you learn regulations. As in all Greece so Kythnos prohibit free camping. However, you can request permission from the police or the Coast Guard. There are dangerous animals in Kythnos? There are dangerous animals that may attack humans except viper snake but rarely occurs and there are no reported cases in recent years. Note the solitary walk in remote trails where there are sheepdogs guarding goats or sheep. Also insects bees and wasps require the attention mainly of people who suffer from these allergies. I can find work easily in Kythnos? As throughout Greece so Kythnos is not easy finding a job. A little demand exists only in seasonal jobs in the tourist season. Preferred are those who know foreign languages or have a particular specialty in tourist enterprises as: chefs, dj, waiters etc. There are lots available for purchase in Kythnos? Kythnos has plots for sale although most are outside the town plan and marked as plots.